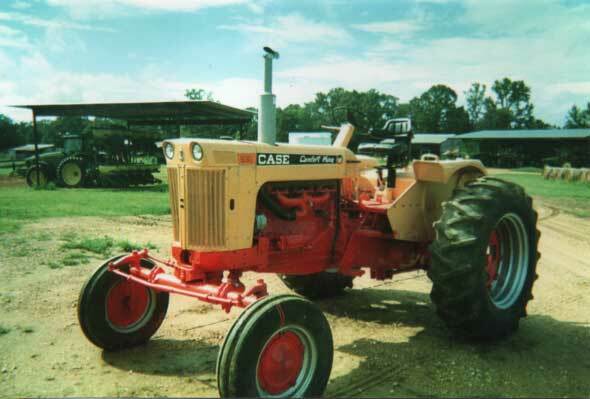 I bought this Case tractor in Oakland, Mississippi. It had not been cranked in about five years, just sitting outside in the weather. Exhaust was covered, engine not stuck, had anti-freeze in it, had no water in the crank case, and luckily the rubber was good. The diesel pump had two stuck plungers. One injector malfunctioned. It took me about eight months to finish the restoration. Now it runs great, has amazing power, and is a beautiful tractor. It is one of many Case tractors I have restored. I love restoring tractors, it’s great fun! I guess you can say I have classic tractor fever! Read more articles and stories on Case tractors here. Hi, I’m trying to restore a small Case 446 garden tractor and having a problem. It ran when it was parked 15 years ago. It turns over but I’m not getting any spark through the coil to the plugs. The coil check out good. Solenoid is good. Any suggestions – what should I check out next? I suggest starting by changing your points and condenser. Thanks, I’ll give it a try! Jumper the coil directly from the battery to see if you have spark. (positive to the post on the coil.) This worked for me and I found that the voltage regulator was fried. Further to my last post, The starter is a combo starter/generator.